How do I prove chronic pain is caused by my work tasks? Carefully documenting your pain, collecting as much supportive evidence as possible, and teaming up with a lawyer to argue your case and represent your rights is the best way to prove that your chronic pain is related to your work duties. Chronic pain, although subjective and difficult to prove, is undoubtedly real and can be quite disabling. Chronic pain can be related to dozens of conditions, many of which may be work-related. a combination of these causes. Many cases of work-related pain can be traced back to some originating factor, such as a slip and fall accident at work that caused damage to a worker’s back. It’s quite difficult to successfully prove that a pain condition merits workers’ compensation benefits. Employers and their insurance companies don’t want to shell out money for fraudulent claims. And that’s understandable. It’s important for the entire workers’ compensation system that everyone – employers and workers alike – remain honest and that only true, work-related conditions are compensable. But if you are experiencing debilitating chronic pain that you know is attributed to your job, how do you go about proving it on a claim? records of your medical appointments (the more dedicated to diagnosis and treatment you are, as evidenced by frequent visits to doctors and specialists, the more apt the insurance company or courts will be to believe your pain is legitimate). If you are the victim of work-related chronic pain, every day can be a struggle. Many people in that predicament just want answers; they want to feel better; they want to move on with their lives. 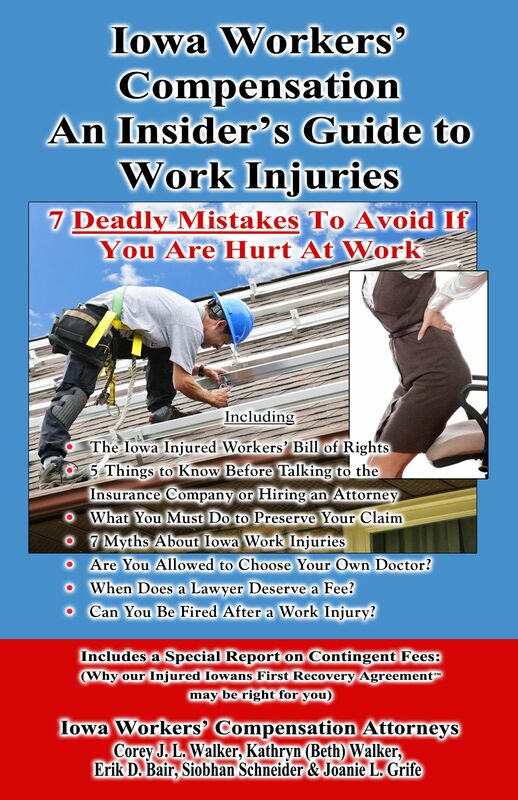 If your condition is such that you are physically incapable of performing your job duties or if the pain is so bad that you require frequent breaks just to deal with the pain, you should be entitled to workers’ compensation. If you’re unable to work because of your pain, find legal counsel to prove your claim. If the insurance company already wrongly denied your claim, talk to an attorney about taking the case through the proper administrative and legal channels. For legal counsel in or around the Des Moines area, contact Walker, Billingsley & Bair today. We can discuss your claim and provide the legal counsel you need. Call us at 641-792-3595 today for a free consultation.